Muzeum Sztuki invites its visitors to the opening of a new arrangement of Joseph Beuys’ room as a part of the Collection of the 20th and 21st Century Art. Precisely 30 years ago Joseph Beuys arrived in Łódź, bringing a crate which contained the archive of his works to Muzeum Sztuki. He called the action "Polentransport 1981". Intending to remind the gesture, we would like to offer a new exhibition of the works in the room devoted to the German artist. The selection of works refers to the artist’s premise that they are the carriers for his thought which, in order to be disseminated, need to be presented outside the centre, i.e. on the margins of Europe and the world including Poland. 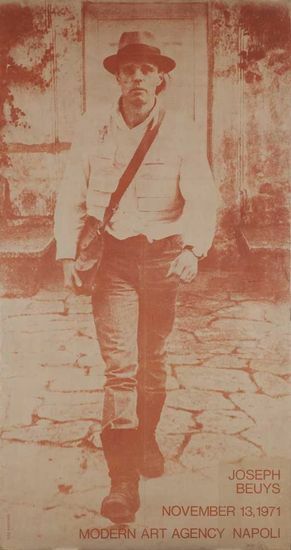 Thus, the currently presented works bear traces of a journey as well as photos taken at Muzeum Sztuki during the artists’ visit in August 1981. The event is a part of the Economy of Gift series.